Do you experience hair loss on Phentermine? To minimize, prevent and regrow it, you need to know some of the causes of your hair loss while taking this prescribe-only diet pills. Because hair loss isn’t known to be one of the side effects of taking phentermine, you won’t find it on the list of side effects, whether common or uncommon. Even so, many women notice that their hair starts to fall out or thin when they start taking phentermine. Given this, it would suggest that taking phentermine can cause hormonal changes. It could also be a problem associated with rapid weight loss. The form of hair loss is known as Alopecia, and it typically begins around three months into taking phentermine. It can continue for as long as you continue to lose weight. This phentermine hair loss is not caused by the dietary changes people make, including restricting calories or cutting out certain foods, but taking phentermine and losing weight can cause hormonal changes. It might not be easy to spot the hair loss at first because hair follicles remain dormant on the head for several months even after the damage has been done. In fact, your body is already starting to correct the hair loss by the time you notice it. A few weeks after you begin to lose your hair you should feel small hairs growing out of your scalp; a sign that the hair has regrown. The hair loss you experience on phentermine is caused by the hair coming out at the root. This is the kind of normal hair loss you should expect to happen when washing and brushing your hair, just at a much faster rate. However if the hair becomes dry and brittle and starts to break away, then it could be a sign that you have an underlying medical condition. One such condition that causes this is hypothyroidism. If you notice hair loss, then it’s important that you report it to your doctor right away, even if you think it has nothing to do with taking phentermine. There are some reasons you might lose your hair while taking Phentermine. Many of these problems can be treated through eating a balanced diet and using multivitamins to get the other nutrients you could be missing. Here are some of the primary reasons that people begin to lose their hair on phentermine and how you can mitigate the damage. Hair is primarily made of proteins. So, a lack of protein can often trigger the body to stop the production of hair. If you add a lack of protein to the hormonal changes and the dramatic weight loss, you could end up with hair loss on phentermine. To counteract this, you need to get enough protein. The RDA of protein is 46g a day for women and 56g a day for men. Around 10% of women between the ages of 20 and 49 suffer from anemia because they have an iron deficiency. This can lead to hair loss and other symptoms such as fatigue, dizziness, and having an ashen complexion. If you suspect that you might have an iron deficiency, then you can have your doctor perform a blood test to find out for sure. If you do, then an iron supplement is all you need to solve the problem. Not getting enough iron in your diet can also make it difficult for you to lose weight, so you might want to consider eating iron-rich foods such as leafy greens and lean red meat to get more iron, burn fat, and lose weight with phentermine. Having a vitamin B deficiency is another common cause of hair loss that can be easily treated. People who take Phentermine are commonly advised to get some injections of vitamin B12 to boost their energy, but they would have more success taking a B-vitamin complex multivitamin. This is because the modern American diet lacks other B-vitamins such as folate, according to the National Health and Nutrition Examination Survey (NHANES). B-vitamins can also be used to minimize the other side effects of phentermine including depression, dry mouth, and anxiety. Every B-vitamin is also involved in the process of converting food into energy. When it comes to hair loss vitamin B7 (Biotin) has been shown to prevent hair from thinning. As such you want to make sure you have enough of this vitamin if you’re worried about losing your hair on phentermine. It’s recommended that anyone who has problems with their weight have their thyroid checked. It’s becoming ever more common for women to develop hypothyroidism, which is when the thyroid doesn’t work as efficiently as it should. Hypothyroidism causes more than just weight problems. It also causes hair loss. The good news is that you can correct the problem with the use of synthetic thyroid medication to get your thyroid functioning normally again. This undoes the damage caused by an underactive thyroid including hair loss and weight gain. Polycystic Ovary Syndrome (PCOS) is similar to hypothyroidism in that it can cause weight gain and hair loss because it causes hormonal imbalances. Women with PCOS find that phentermine is an excellent way to get back their healthy lifestyle and begin exercising and eating properly again, which makes it much easier for them to lose weight. This, in turn, reduces the symptoms of PCOS and brings their hormone levels back to normal to reverse the symptoms of PCOS including hair loss and infertility. One of the main reasons that phentermine causes hair loss is because of the dramatic weight loss. Phentermine can cause you to lose a lot of weight, which can lead to hair loss. The body recognizes sudden weight loss as a kind of physical trauma that causes hair loss, even if losing weight is a good thing, as would be the case when you’re losing weight as a result of being prescribed phentermine for Obesity. If you want to avoid losing your hair due to losing weight, then you should eat enough calories to fuel your activity levels and power your metabolism. That way you will continue to lose weight at the healthy rate of around 2lbs per week. That way you shouldn’t lose any muscle because you missed out on food groups or went on an extreme diet. I have used Adipex for weight loss in the past and I am currently taking it again. It works well to supress my appetite, and I lose weight rapidly. However, each time I have used this rx I have experienced a tremendous amount of hair loss. It comes out badly when I wash it, and I see it falling out all during the day. This usually starts around the third month of taking Adipex. Therefore, once again I have to stop the rx and my weight goal will never be reached. I don’t think I have any physical problems or lack of vitamins that causes my hair to come out. I am convinced it is the medicine and am stopping it again. I don’t think I will use Adipex for weight loss again. Did your hair grow back from last time you took it? I’d like to know as well if the hair grows back after you stop taking the medication. I’ve been on phentermine and trokendi since July 2017. My hair has always been long and thick. It’s coming out at alarming amounts. So much so that the people who clean our office at work are complaining that my hair is choking and jamming up their vacuum cleaners. 🙁 I’m losing weight, which I needed to do for my health, but I don’t want to go bald! I’m curious if your hair grew back. I am experiencing hair loss and I’d like to know if this is going to continue. The hair will grow back if you start taking Vitamin D and eating seeds like pumpkin seeds, chea seeds etc. also eat berries. I’ve experienced the same thing, hair missing around my forehead. I wasn’t sure if or what the actual cause was but I looked up “Hair loss while taking Phentermine” and it brought me here. I’ve been taking it off and on since November 2015. I noticed my hair was receding around my forehead but I didn’t see any hair anywhere, like on the sink, pillow or in my nightcap. When I comb my hair my comb will have hair in it but I’m Black American and that a bit of the norm for most, especially when you’re natural like I am. I stayed off the drug for a few months this time and I started back in August og this year and I notice more hair loss. It started in the middle of my head and down my left side, which is also the side I sleep on.. I belive I’m just going to quit altogether bec3when I’m off the diet pills, I gain my weight back instantly.. I really like taking phentermine because it does work, however the hair loss when your hair is already thin is horrible! I will someone had a solution??? I Started Duromine (Phentermine) back in Late October 2014 and stopped around January 2015. I lost 30KG in the first 30 days of use, it was great but I started to rapidly lose hair, and Because my hair is naturally thin, It was pretty obvious to the naked eye. Fast forward 3 years later, Unfortunately My hair still hasn’t fully recovered from the side effects of this drug. I still have patches of hair missing from my scalp and it is very frustrating. What bothers me is that hair loss is not even listed as potential side effect when these pharmaceutical companies know that it infact is a major side effect, along with potential Heart Problems, Kidney Problems etc etc. These companies should take responsibility on what they put out and how it effects their customers. If you are reading this, I hope you will realise that in life there is no such thing as a Miracle pill, and there is certainly no short cuts when it comes to weight loss. Truth is, “You are what you eat”. Obesity doesn’t happen over night, it’s from a combination of bad lifestyle choices and a unhealthy relationship with food. The amount of time u used to lose the weight, is the same amount of time u can potentially gain it back. I personally went from 158KGs to 121KGS in a span of 3 months, but gained it back near instantly after going off this drug. On a side note, u may think that this drug might make u shed weight over a short period of time, however when it comes to the bigger picture, U can’t rely on this drug forever, and soon after your body is use to the drug and it isn’t as effective as before u only really have two options: 1. EIther u up the dosage and harm your body even more. or 2. Get off and gain the weight back. After falling into a year of depression and gaining all the weight back and more, I decided to pick my self back up again, joining a Gym, Hiring a trainer, and choosing better and healthier food options. My life and my Weight has improved so much and I’m a much more active person today. I went from 162KG to 140Kg in two months of consistent effort. We should learn to be more pro-active and take control of our own lives and not to just rely on some pill that will leave you with life threatening side effects. (You’d be surprised to find that some countries have banned this drug simply because of how dangerous it is.) The side effects are just not worth it. I’m not here to fat shame, nor say I’m better than anyone, but what I want to say is, There are alot of options out there in regards to weight loss and it doesn’t have to be through a drug, nor does your body deserve to go through this kind of treatment just to better your lives. Please re-consider before buying this pill and ask yourself: Are the side effects really worth it? My question is widen to start a diet and exercise regimen when you got on the medication? 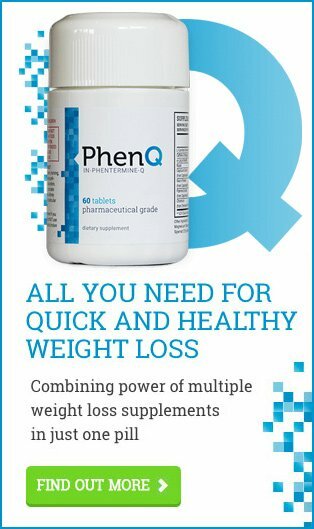 I began taking PHENTERMINE HCL 15mg, 1x/day for less than 4 weeks. I’m experiencing hair loss at an alarming rate; noticed about a week ago, almost like when I was on chemotherapy. Given there has been no change in diet or activity during the time I’ve been taking it, and after review of others’ experience, I’m going to quit taking and call my physician, now. I went through chemo about 10 years ago and lost all my hair during the first month. It did grow back several months later, but has never been the same. It was a heart breaking experience. I’ll find another way or drug to help me loose weight. Hope this assists others who may read this. I take Phentermine and my hair has come out from the front of my head straight down the middle of my head. I went from 262 lbs to 228 lbs. I exercise 4 days a week and feel really good. There was problem with my kidney count going down tremendously. I was told to stop the phentermine and the count is slowly getting back to the correct level where there are no problems. Where I used to be able to put my hair into a ponytail, I have a big road going down the middle of my head and are forced to wear wigs at this time. I do want to loose weight but I don’t want to get sick behind taking the pills. Very good article. I truly believe in everything you said. I’m not sure if my thinning is due to phentermine or due to the hairdresser putting me under a dryer for 45 min with bleach on. I was thinning before, but it was manageable. After that salon visit, it was horribly thin, and thinning, and I had to cut it all off to my ears (it WAS halfway down my back). I planned to wear a wig until it grows back. BEWARE OF THE WIG. 2 weeks in and my hairline is now receding too from the combs. I tried gluing. Glue damaged my hairline too. I’ve been on phentermine for a while and never had that issue until I started the wig. I’d recommend a hair topper. I am looking into those now myself. I hear they’re better on your hair and scalp because they allow your head to breath. I took phenoline for week and half. I get vitamins shots weekly hope not to loose the thin fine hair I have. Wanted to loose 10 lbs I did loose 2 1/2. Before I quit. It was the eating part that caused me problems it caused me to have 5 days of migraines and high blood pressure and heart rate. I was afraid to take them any longer. Now trying to loose more weight on my own watching my carbs and staying under 1,000 calories. I hope I can do it . Did anybody else have the same problem? I take 100 mcg of synthroid for underactive thyroid and I do get injections of Botox for migraines every 3 months and just went off my blood pressure medicine because it was dropping to low. I also have been taking Phentermine and it just seems like you lose weight then gain it back when you’re off of it I also have been losing a lot of hair now that I read all these posts it scares me to continue and I think I’m just going to stop it. It’s not worth losing weight and losing your hair in the beauty of your hair. Sometimes I feel like when I stop taking it that my whole body just hurts so badly like I have no energy whatsoever. Like if you going through withdrawal. yes I’ve noticed the hair loss around my edges but never thought it was the pill. I’m on my third month and after seeing all these posts this confirms it all. Thank you I will not be finishing the bottle that I have. My hair is my prize possession and I refuse to say it’s okay you can fall out just for weight loss. I read your post and I see it was posted over a year ago, I’m curious if your hair grew back and how long that took after stopping the rx, or if the problem continued? I am currently going through the same thing and my hair was already thin. There’s one article on the web that says pentermine increases dht which gradually falls only when you go off it. I rather be slightly chubby then bald, which I noticed the correlation earlier as am receding so quickly. My question is widen to start a diet and exercise regimen when you got on the medication? Actually you should have started at least a diet before. Just saying. I mean isn’t it common sense the pill alone is not gonna make you the weight you want to be. The point of the medication is to assist people to lose weight to give them encouragement to continue their Diane exercise and change their lifestyle with healthy habits. So did anyone’s hair grow back. Please confirm.